After bringing back the character in a Christmas special last year, BBC One has given the green-light to a new hour-long Professor Branestawm TV movie titled The Further Adventures Of Professor Branestawn. The Further Adventures Of Professor Branestawn is set in the quintessential English village of Great Pagwell and sees Branestawm face money troubles when his bills are literally out of control. In order to try and pay off his debts, Connie suggests he enter the town’s best inventing competition to win a cash prize of £1,854 and a thruppeny bit – enough money to pay off his tax bill. But can he out invent the self-professed greatest inventor in the world, Professor Algebrain? 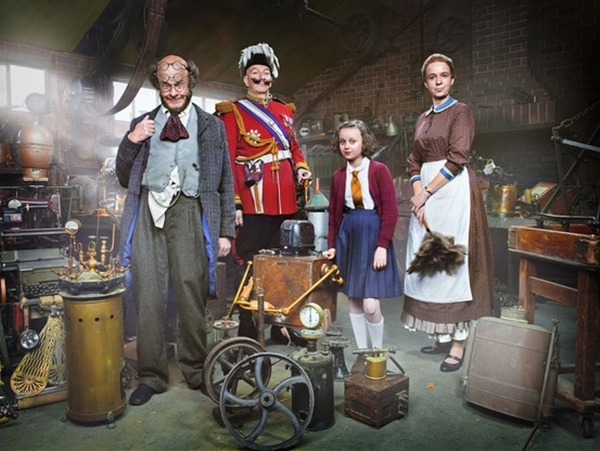 Harry Hill is on-board to reprise his role as the titular character; while other returning cast members include Vicki Pepperdine (Getting On), Madeline Holliday (Hank Zipzer), Simon Day (The Life Of Rock With Brian Pern), Charlie Higson (The Fast Show), David Mitchell (Peep Show), Sophie Thompson (Jericho) and Adrian Scarborough (Gavin and Stacey). Joining the cast for the new TV movie is Steve Pemberton, Dame Diana Rigg and Bob Mortimer. The one-off drama is being produced by BBC In-House Comedy and was commissioned by BBC One Controller Charlotte Moore, the BBC’s Controller of Comedy Commissioning Shane Allen and Controller of BBC Comedy Production Myfanwy Moore. Rosemary McGowan is the producer, while Cradle To Grave helmer Sandy Johnson is attached to direct. Ben Farrell is the executive producer. Production gets underway this week for a Christmas premiere. 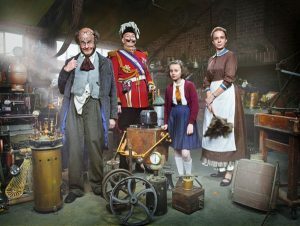 The Further Adventures of Professor Branestawm is the latest element of BBC One’s Christmas schedule to fall into place.